Welcome to the website of the Office of Religious Education of the Consistory of the Ukrainian Orthodox Church of the USA, offering free educational resources to all individuals, families and parishes that they may understand the Faith delivered by Christ for the life of the world, and share it with their children, loved ones, friends, neighbors, inquirers, and others for their salvation, which is our calling by baptism, chrismation and communion. Our Hierarchs sit on the Assembly of Orthodox Bishops in the USA and our Director, Fr. Harry Linsinbigler, is a member of the Board of Directors of the Orthodox Christian Education Commission. While we recommend the purchase of printed materials from the OCEC and its participating jurisdictions, we also recognize the need for providing online material so that the Orthodox Christian Faith may grow in the hearts of the faithful and be shared with others in response to our Lord's will to make disciples of all peoples. Our mission is to provide free online Orthodox Christian educational resources and links for use at parishes and for the faithful to use at home to grow in their faith and to do Christ's work in the world. This includes written materials, audio, video, and other catechetical materials such as power point presentations. We encourage all parishes to invest in the ability to display on a screen (in the hall, for example), brief videos and powerpoint presentations that more people become more involved in learning about and living out their faith. If this is not possible, the parishes can still encourage faithful to have a 10 minute family prayer and education moment in the day when everyone is together at home to learn a little every day. Parishes can only stay alive if they are filled with dedicated people. Lukewarmness will only lead to erosion of parish life. We live in an age where not many may come to a physical location for faith education, but may review it online. Thus, we provide video feeds, audio feeds, and other resources that either may be used on site or be shared on websites or on church social media web pages. Our calling is to make disciples of all nations. While we call the Apostles also the "disciples," that is because they are the first among the disciples. However, every true Christian is a disciple of Christ, that is, one who follows Him on the path to eternal life. Whether you know it or not, you are called to be an educator in one form or another. All parents have the responsibility of their children's religious upbringing. It is their responsibility to become knowledgable about the faith and values of Christ and teach them to their children. Sunday school teachers are great for an hour once a week, but parents should be involved in instilling and teaching their children the way of the Lord daily. Likewise, with godparents. And, really, all the faithful, as St. Peter says, are called to be prepared to give a defense for the hope that is in them to anyone who asks, the hope being the truth of the Gospel (the good news that the King has come and the Kingdom is at hand). As the book of Hebrews says, we are to move from "milk" to "solid food" when it comes to the faith, and dedicate ourselves to learn our faith more deeply and share it intelligably with our family and others. 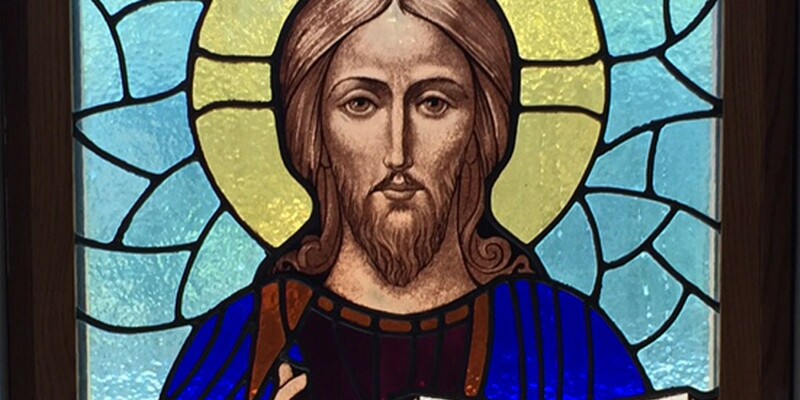 One of the primary icons we have of Christ is "Christ the teacher." This is because, before instituting the Sacraments, the Lord first taught about the way of salvation. He educated. He taught extensively on the Mystery of Holy Communion before He instituted it. This website in no way endorses anything contrary to Christian Orthodox dogma. For the purpose of discussion of difficult cultural issues of the modern day, however, we may post certain articles or presentations that are controversial. In such instances, the purpose for them is to formulate, in a class, a proper response from the point of view of the Faith. Some of these may be things that we entirely would disagree with as Orthodox Christians, but need to be aware of and answer, as we need to, as Scripture says, be prepared to give a solid defense to the Hope that is in us. It does allow for information with diverse theological views and opinions that are within such a realm (theologoumena). It also will post matters that our Christian people will encounter, have questions about, and need answers. 3. To provide resource materials for parents, that they may educate themselves, and start being the primary source of Christian Education to their children, godchildren, etc. *Please observe copyright laws and such things when utilizing this information. If using them to reproduce written information, please cite the author/source. For your convenience, below are daily podcasts from Ancient Faith Radio, including Saint of the day and audio Scripture readings which follow the Orthodox Constantinopolitan Calendar (which for much of the year is the same as the Old Julian Readings, but for some is different), since Ancient Faith targets the majority of Orthodox in America (93% of Orthodox in America are on the Orthodox Constantinopolitan Calendar, not the Orthodox Old Julian Calendar).